LOGAN, UTAH, USA — Utah State University is among 33 institutions nationwide selected to join the Howard Hughes Medical Institute's Inclusive Excellence initiative. USU joins 24 other schools, chosen in 2017 during the initiative's inaugural year, committed to engaging all students in science, regardless of background. All 57 institutions will each receive $1 million in grant support over five years, while working with HHMI and its partner, the Association of American Colleges and Universities, to engage in the process of culture change. Utah State was selected based on its proposal to initiate Mentoring and Encouraging Student Academic Success (MESAS). This program will build on the university's efforts to encourage students who are interested in transferring to USU's main campus in Logan from USU Eastern, Blanding, a two-year campus in remote, southeastern Utah. More than 70 percent of the Blanding campus student body is Native American, while Native students make up 0.3 percent of the Logan campus. 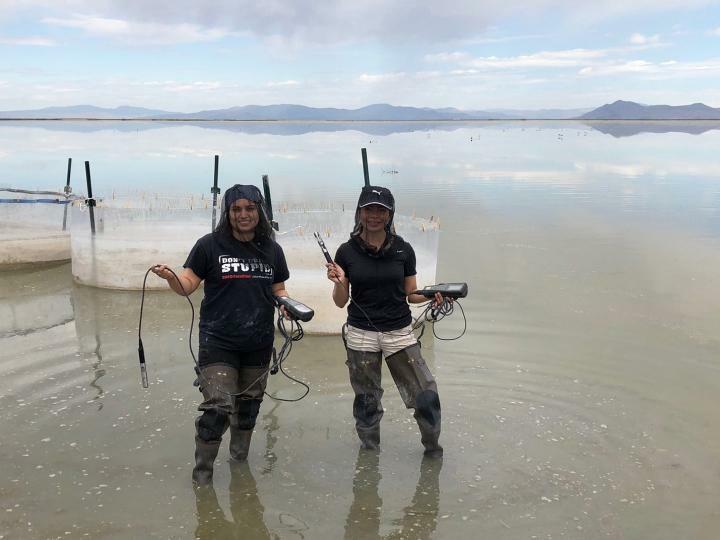 As part of the HHMI initiative, Utah State has also committed $50,000 per year to the MESAS program, for the duration of the five-year grant period. In a separate initiative, USU is committed to the establishment of a Native American Living Learning Community on its Logan campus. "Utah State University is grateful for this opportunity to initiate the MESAS program," says USU President Noelle Cockett. "This initiative builds on years of the university's commitment to encouraging underrepresented groups to pursue degrees in the natural sciences and other STEM disciplines." USU's Native American Summer Mentorship Program, initiated five years ago, laid the groundwork for the MESAS program. Among the program's features has been an annual, month-long program in which 20-25 Blanding scholars stay in Logan, participate in research and learn about STEM degree opportunities. A significant percentage of the program's student participants have transferred to Logan to pursue four-year degrees. "Through our Native American Summer Mentorship Program, USU has been very successful in attracting students from the Blanding Campus to Logan to pursue four-year degrees in STEM majors," says USU Biology professor Al Savitzy, who was a founder of the program and will serve as MESAS program director. "The award from the Howard Hughes Medical Institutes' Inclusive Excellence Program will help the university provide academic and social support for those students when they transfer to Logan, and it will help us build a more welcoming environment for them." Savitzky says MESAS will support Blanding students transferring to Logan through an integrated program of student advocacy, improved residential life on campus and cultural competency training of faculty and staff on the Logan campus. "At the same time, we will institute curricular reforms at the Blanding campus, to provide student preparation for baccalaureate programs in the natural sciences and to support greater involvement of Logan science faculty with Blanding students," he says. According to the National Science Board, Native Americans, as a percentage of their representation in the U.S. population, are underrepresented by as much as two-thirds in the nation's graduate STEM programs. "With our multiple campuses, Utah State is in a unique position to foster greater Native American representation in STEM fields and serve as a model for other institutions," Savitzky says.